A former Seattle resident who admitted killing four people on a self-proclaimed "jihad" to avenge U.S. foreign policy in the Middle East received a life sentence without parole Tuesday for the 2014 ambush of a college student sitting in his car at a traffic light. Ali Muhammad Brown, 33, is expected to be extradited to Washington state to face charges in the three other killings. On Tuesday, facing a courtroom packed with more than 100 of friends and relatives of the victim, Brown initially apologized to the parents and then went off on a rambling monologue in which he repeatedly asked to be treated "as a human being, not a monster." That didn't sway state Superior Court Judge Ronald Wigler, who called Brendan Tevlin's murder "one of the most heinous, horrific, brutal crimes I have presided over" in eight years on the bench. Brown's actions also didn't change U.S. policy but only "brought devastation and despair to a family who never did a thing to you," Wigler told Brown. About a dozen of Tevlin's friends and relatives delivered victim impact statements, including his mother, Allison, who called Brown "a vile excuse for a human being." His sentencing "will end this portion of our nightmare," she added, but said the hole in their lives would remain. The attack took place when Tevlin, a sophomore at Virginia's University of Richmond, was driving home from a friend's house, according to prosecutors. He was waiting at a traffic light less than 10 minutes from his home in the New Jersey town of Livingston, outside Newark, when Brown and two other men, following him in another car, jumped out and surrounded him. 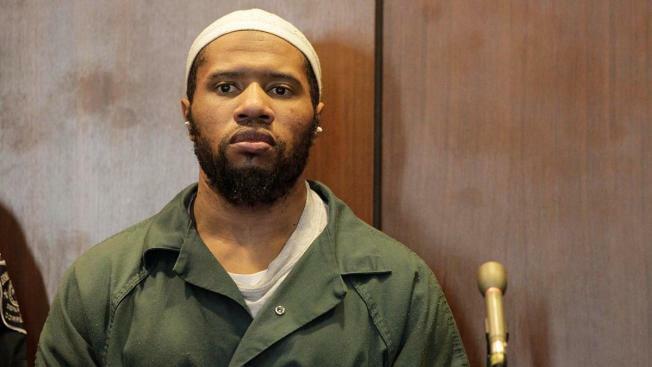 Brown shot Tevlin through the passenger-side window, hitting him 10 times, and then shot him several more times as he tried to exit the car, Assistant Essex County Prosecutor Jamel Semper said Tuesday. A few weeks after the murder, authorities found Brown hiding in nearby woods. Ballistics tests later showed that the same gun was also used in three killings in Seattle, according to New Jersey prosecutors. In court papers filed in Seattle in 2014, authorities said Brown described himself to detectives after his New Jersey arrest as a strict Muslim. Brown was said to have been angered by the U.S. government's actions in Iraq, Iran and Afghanistan, noting the deaths of innocent civilians and children as a result. In a subsequent recorded interview in New Jersey, Washington authorities wrote, Brown described his idea of a "just kill," in which the target was men unaccompanied by women, children or elderly people. During Brown's March plea, which occurred voluntarily and not as the result of a deal with prosecutors, he also took responsibility for fatally shooting Dwone Anderson-Young, 23, and Ahmed Said, 27, in Seattle in 2014 after they left a gay nightclub, and for the deadly shooting of Leroy Henderson, 30, in the Seattle suburb of Skyway. Brown said he killed the two in Seattle because he believed they were gay. Washington state allows the death penalty, but authorities there have opted not to pursue it in this case, Acting Essex County Prosecutor Robert Laurino said Tuesday.